This is our Coastal Claims Fighting Fund fundraiser page – if you wanted the NZCPR’s regular donation page, please click HERE. 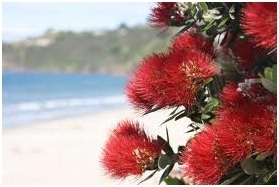 As a result of the 200 opportunistic High Court claims for our coastline that have been lodged by tribal groups under the Marine and Coastal Area Act, the NZCPR has been working hard to to ensure that there is as much public opposition as possible. The problem is that while claimants have access to over $300,000 of taxpayer funding to help them prepare their cases, opponents have to not only pay a $110 filing fee for each High Court claim that they oppose, they have to also cover all of the other expenses associated with this complex process that involves 200 separate cases themselves. The NZCPR has already supported both the recreation lobby group, the Council for Outdoor Recreation Associations of New Zealand, and the property rights group, the Landowners’ Coalition, with funding to cover the filing fees for all 200 claims. However, as the main Court hearings are now edging closer, we are starting to fundraise to assist in covering some of the the substantial legal fees and other expenditure that they will face. If you oppose these Marine and Coastal Area claims, please help us provide assistance to those who will be standing up for us in the Court, by completing the form below to help cover some of the huge costs they will incur as they fight these claims for our whole coastline – in the public interest. If you would prefer to donate by phone, using your credit card, we are happy to help – please call us on: (09) 434 3836 . Thank you for helping the NZCPR fight against this opportunistic tribal resource grab! Please select or enter a valid payment amount.